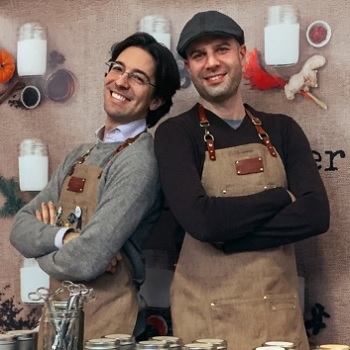 Edgewater Candles was founded in 2016 by Chicago-based artisans Mark Towns and Stephen Pearlman. The duo makes hand-poured soy candles in a curated palette of botanical scent combinations. They only use sustainable and non-toxic ingredients. Upcycling enthusiasts will be happy to learn that all Edgewater Candles are packaged in re-usable containers. Scents Include: Rosemary Grapefruit, Cedar Lavender, Tomato Leaf, Fig and Chestnut, Orchid Neroli, Vanilla Sandalwood… plus seasonal scents that are updated year round. Re-usable containers: Glass jars, travel tins, hand-thrown ceramic vessels and wax melts for a flameless option. You can view all their products and learn where and how to buy them on the Edgewater Candles website. 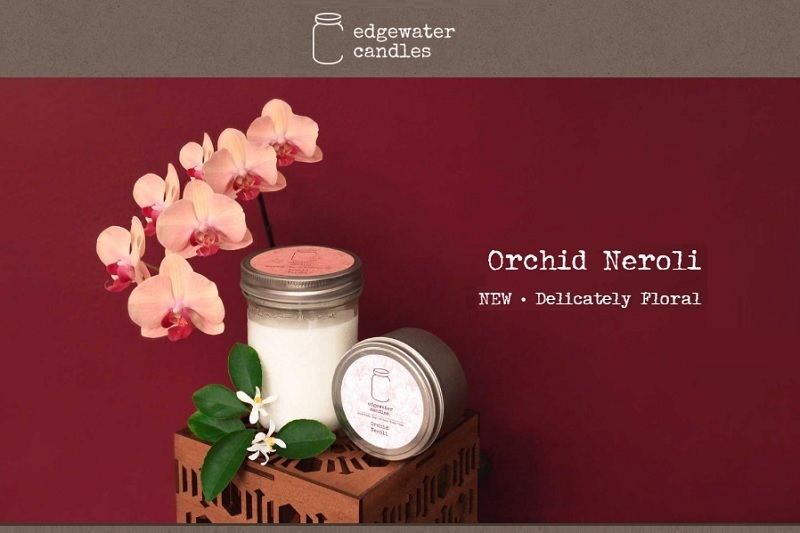 Edgewater Candles creates evocative scents and herbal essences that will tempt your senses. Whether you prefer woodsy, citrus, spicy, musky, or clean and fresh, they have something for everyone. The simple, glass jar and neutral color fit perfectly into any decor. At Edgewater Candles, they are upcycling and repurposing enthusiasts. After the candle is spent, the jar can be easily reused. The fragrances are essential oil and fragrance oil blends – all phthalate free, and the wicks are free of any metals. We are thrilled to feature Edgewater Candles along with 100+ of Chicago’s finest artisans in food, fashion, home goods + art at the Chicago Artisan Market at Morgan Manufacturing (401 N. Morgan St., Chicago) on Sunday, December 2, 2018 from 10am-4pm. The candles are created by Mark Towns and Stephen Pearlman, a married couple who started their business in 2016 from their Edgewater home. They wanted to make their own candles to get some of the luxury scents that they wanted in their lives without the luxe price tag. Mark and Stephen have curated a small palette of scents that showcase unique and creative combinations that have garnered a loyal fan base. They are always prototyping a new scent because there’s nothing like refining it over time to get that perfect new fragrance.